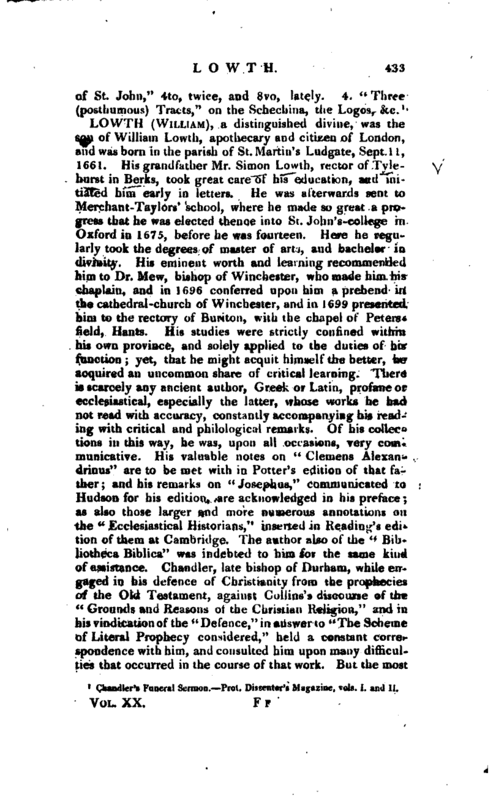 , a learned dissenting clergyman, was born in 1680. He was originally destined for the law, and in 1697 entered as a student in the Middle-Temple, but in about two years he changed his purpose and determined to study divinity. With this view he went over to Holland in 1699, where he studied partly at Utrecht and partly at Leyden. In 1710, after being admitted to the ministry among the dissenters, he settled with the congregation at Claphana, as assistant to Mr. Grace, whom he succeeded as their pastor, and was ordained in 1714. In | this situation he continued to his death, preaching twice each Sunday until within a few weeks of that event. 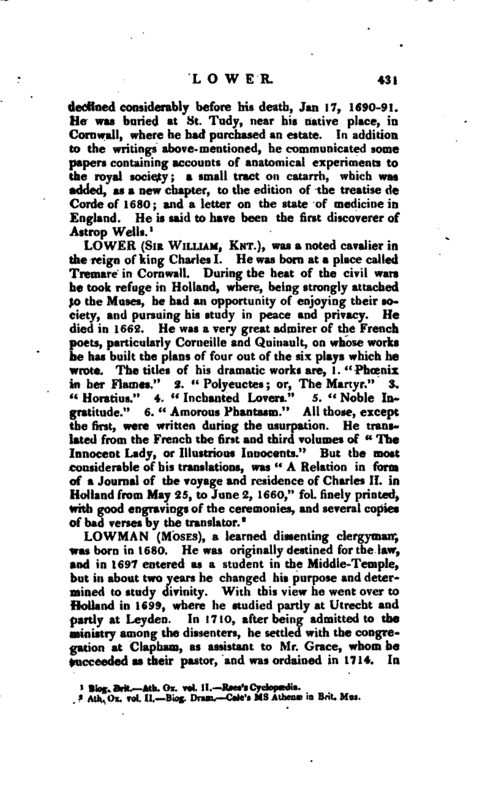 He distinguished himself, from the period of his academical studies, in metaphysics and divinity: and, to the close of his life, he was an indefatigable reader, and acquired an extraordinary stock of useful knowledge, particularly in Jewish learning and antiquities, to which last he was much devoted. 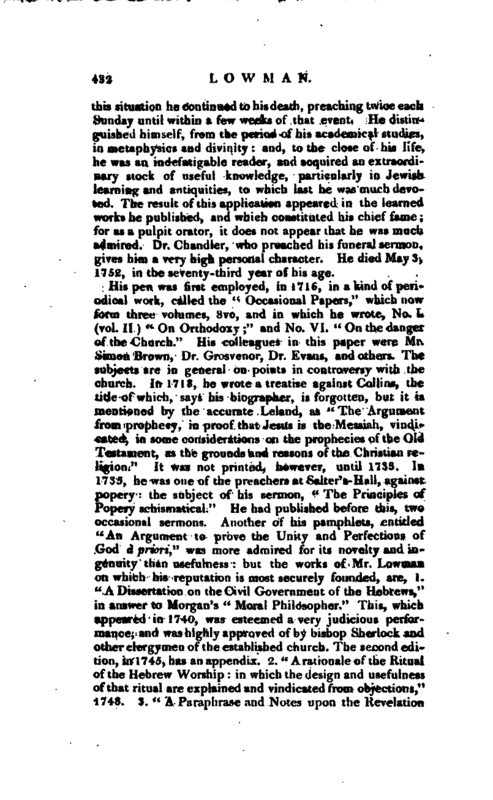 The result of this application appeared in the learned works he published, and which constituted his chief fame; for as a pulpit orator, it does not appear that he was much admired. Dr. Chandler, who preached his funeral sermon, gives him a very high personal character. He died May 3, 1752, in the seventy-third year of his age. 1 Chandler’s Funeraf Sermon.- Prot. Dissenter’s Magazine, vo)s,.I. and I/.